Our Obstacle Course comes in a vinyl bag. 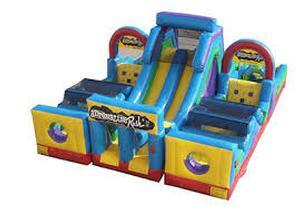 Adult supervision is always recommended on any of our games and inflatable’s. 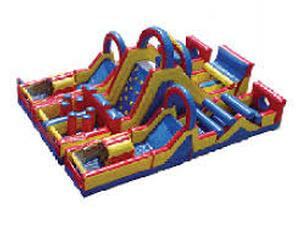 We recommend 2 adults to load, unload and take down the Obstacle Course. This unit will fit on pick up trucks. Will not load in any cars/car trunk.